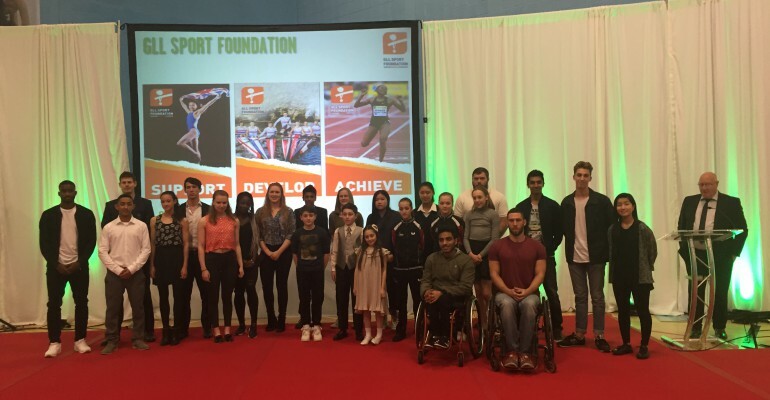 On Friday 6th May, Barnet’s young talent were honoured at an awards ceremony celebrating their sporting successes. The GLL Sport Foundation are very proud to be partnered with Barnet Council in order to help athletes reach their potential and reduce the financial burden of competitive sport. 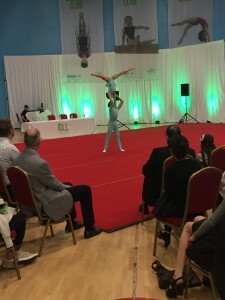 The event was held at GLL run centre, Hendon Leisure Centre where the sports hall was dressed up for the occasion, with four gymnastics performances including GLL supported athlete Mikal Balabey. Phil Lane, Head of Sport & Community at GLL presented the awards. The Mayor of Barnet, Mark Shooter was in attendance, along with Cassie Bridger, the Strategic Lead of Sport & Physical Activity for Barnet. 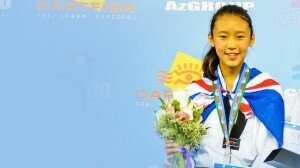 Both Mark and Cassie, along with GLL Partnership Manager Gillan Kelly helped to give out the awards to the athletes. 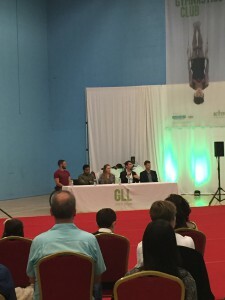 There was an athlete panel where Phil Lane interviewed some of our high profile athletes on stage to find out how their Rio journey to the Olympics was going, and how the GLL Sport Foundation is helping them along the way. Fencers Marcus Mepstead and Richard Kruse have already guaranteed their spot in the GB Team heading to the Rio Olympics. 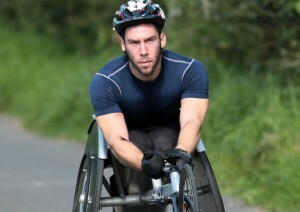 Justin Levene and Sheikh Sheikh are both in with a chance of being selected for Wheelchair Racing, and Isabelle Dean is an up and coming Water Polo athlete. All athletes shared their very different experiences of their sporting journeys and gave advice to those younger athletes in the room. Winners receive grants ranging from £200 to £1,250 as well as free access to Council-owned leisure facilities to assist with training. In addition, athletes can receive physio and sport science free of charge to help with rehabilitation from injuries and to gain knowledge about injury prevention and performance analysis.